Feb. 8, 2017, © Leeham Co.: Boeing last month received a $2.1bn order for 15 more KC-46A tankers from the US Air Force, bringing the total so far to 34. Look for more orders in the coming months. 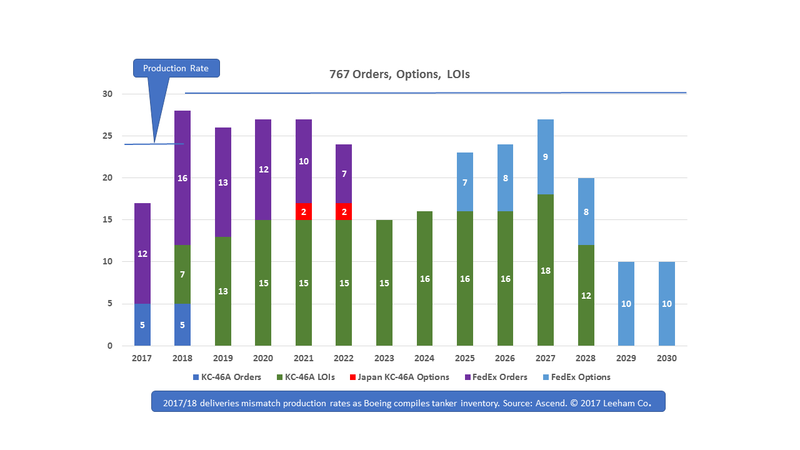 Boeing has Letters of Intent for 152 more with delivery dates beginning in 2018, according to the Ascend data base. The aerial refueling tankers are based on the 767-200ER, which is no longer offered by Boeing in a passenger version. Boeing expects 400 sales of the tanker over the life of the program. Using the current LOIs as a base, the USAF commitment extends to 2028. At the current production schedule planned, the 767 line could be active until 2042. But the USAF isn’t the only customer for the 767. 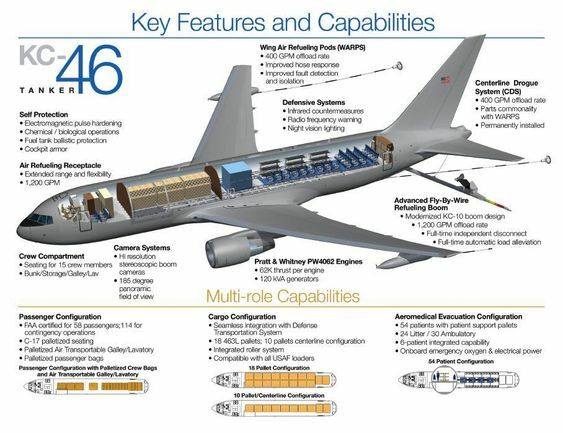 Aug. 18, 2016: Boeing received the first two contracts for production of the KC-46A aerial refueling tanker, the company announced. Click on image to enlarge. Image via Google. Aug. 14, 2016: The Pentagon cleared Boeing’s KC-46A aerial refueling tanker for Low Rate Initial Production (LRIP) after the aircraft completed Milestone C refueling tests. All that remains now is for the US Air Force and Boeing to execute the contracts. This is welcome news for Boeing and the USAF. Washington Gov. 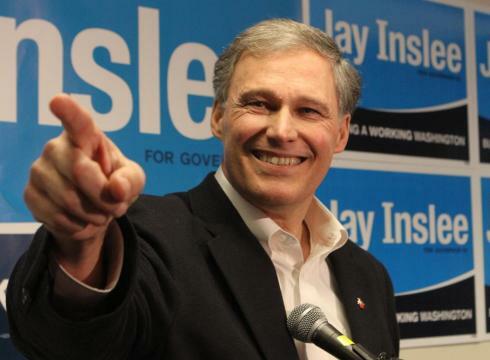 Jay Inslee (D) is running for reelection. 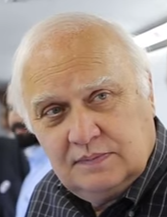 He needs to think about the coming lean times at the Boeing Everett plant in less than three years. So does his challenger and all the incumbents and candidates for Legislature. USA today photo via Google images. question arises: what happens to the assembly line space now occupied by the massive airplane? Given that the State of Washington elected and appointed officials generally view Boeing in a reactive rather than a proactive mode, an open letter to them seems appropriate. It’s imperative that Washington officials begin planning now for some lean times ahead for the Everett plant. Waiting until 2019 is too little, too late. July 25, 2016, © Leeham Co.: Boeing July 21 announced it is taking an after tax charge of more than $800m against the 747-8 program. 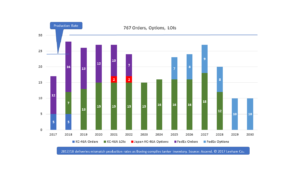 It also canceled plans to increase production of the 747-8F from the current 0.5/mo to 1/mo in 2019 on the long-held belief demand for the 8F would recover as 747-400Fs age. In an email to LNC, a Boeing Commercial Airplanes spokesman wrote, “We have consistently said that while there is a cargo market recovery – it is not as robust as we had expected. Our new long term forecast projects cargo traffic to grow at 4.2% per year over the next two decades. But in the short term, the cargo market continues to struggle. With that, years of forecasts of a solid recovery for the 747-8F that ran counter to many outside Boeing was softened considerably. July 21, 2016, © Leeham Co.: Boeing today announced $1.66bn in new after tax charges to its 787 and 747-8 commercial programs and a $393m after tax charge for its KC-46A USAF tanker program. “On a pretax basis at the segment level, Boeing Commercial Airplanes will now record an earnings impact totaling $2.78 billion and the Boeing Military Aircraft segment of Boeing Defense, Space & Security will report an earnings impact of $219 million,” Boeing said in a statement. Boeing also announced that a planned production rate increase for the 747-8 from 0.5/mo to 1/mo in 2019 has been cancelled. Boeing KC-46A refueling Boeing C-17. Photo via Boeing. Click on image to enlarge. 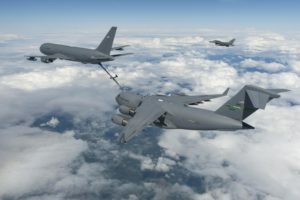 July 20, 2016, © Leeham Co.: Boeing and the USAF last week announced that the KC-46A tanker successfully completed Milestone C in the refueling flight testing program. The KC-46A completed refueling of five aircraft, a requirement under Milestone C: the F16, F18, AV8B Harrier, A10 Warthog and the C17. Additionally, the KC-46A itself was refueled from a Boeing KC-10. The C17 previously proved to be a problem when aerodynamics for the refueling boom revealed more stress than was permissible.